Many newly-released stereo speakers and/or home audio equipment may feature (one or more) wireless technologies in addition to the common analog and digital connections. Wireless audio has grown in popularity due to the convenience and ease of use. It can be tempting to look at comprehensive speaker systems, like Sonos, and be led to believe that an immediate upgrade is in order. However, the receiver you currently own can be just as – if not more than – capable of creating that multi-room audio environment you've been dreaming of. It just requires a little bit more thought, planning, and the willingness to take the time to properly wire everything up. Most any modern home theater receiver has built-in multi-room (can also be referred to as multi-zone) and multi-source features. 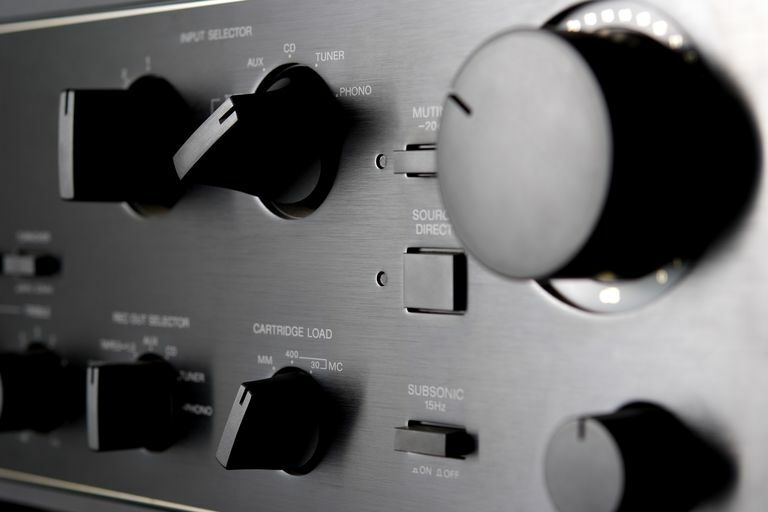 At a minimum, one should expect to be able to connect a second set of speakers using the Speaker B switch. And depending on the chosen receiver's brand and model, some can handle additional sets without the need for incorporating a speaker selector switch. The ability to connect multiple speakers to one receiver means that a singular audio source can play in different rooms/zones simultaneously. Some receivers also allow multiple audio sources to play in multiple areas, too. Quite often, a receiver will be 5.1 or 7.1 surround-sound compatible (e.g. ones meant more for home theater set-ups). Some of these allow the reassignment of the surround channels in order to power speakers in another zone. So for example, a 7.1-channel receiver may permit users to link the two "surround back" channels to stereo speakers placed in another room, complete with independent source selection. The main theater room could still retain the 5.1-channel audio for movie/video entertainment while leaving the second set of speakers for music only. Another benefit of traditional receivers is the ability to have and select from multiple sources, such as turntables, DVD/Blu-ray players, digital media/MP3/CD players, cable/satellite set-top boxes, smartphones and tablets, AM/FM radio, and more. With the press of a button or two, all connected speakers can be set to playing DVD movie audio. Or, users can choose to split the sources and speakers up into respective/assigned zones – FM radio in the kitchen, cable TV in the living room, CD music in the garage, iTunes/Spotify in the backyard, and so forth. Not all wireless speaker systems innately support this kind of versatility, which is certainly an advantage of using a quality receiver. And for added convenience, sources connected to the receiver can be controlled from each zone via a wired remote control or remote control extender. Some receivers have built-in amplifiers for stereo music (and sometimes video, too), which helps to ensure proper output to the separate rooms/zones. In other models, the audio outputs only through a line level (i.e. an un-amplified signal). In the latter case, users may want to consider an additional amplifier (or receiver) along with a stereo line level cable for all sets of speakers in the other rooms. Just because a receiver doesn't have built-in wireless connectivity, it doesn't mean that it can't be upgraded for that. There are many Bluetooth and WiFi adapters (e.g. Mass Fidelity Relay Bluetooth Receiver) that plug into home receivers via 3.5 mm, RCA, and/or optical cables. Some may also offer wireless video/media streaming through an HDMI connection to the receiver. Either way, just one adapter can allow easy wireless music streaming from a mobile device to any/all speakers without the need for a separate app or captive/proprietary ecosystem. It may take a little more work to set it all up (especially if/when living spaces might be rearranged), but it's definitely worth using the full potential of hardware you already own.